Volkswagen: the most toxic fallout of all? “The most powerful element in advertising is the truth.” So wrote Bill Bernbach, one of the giants of advertising, and co-founder of the agency Doyle Dane Bernbach (DDB). It was his business that was responsible for many of the ads of the golden age of advertising. Perhaps his agency’s most famous advertising was for Volkswagen. In fact their understated ads such as ‘Think Small’ for the VW Beetle epitomised the 1960s. There was also ‘Lemon’, depicting one of the 2% of VWs which was rejected as defective (what would the VW management give if that figure was just 2% now?). And over the years, the advertising ran true. The small size and odd appearance of the VW Beetle made it cheap to run, fun to drive and easy to park. So the advertising told those truths. Then there was the superior engineering that made Volkswagens reliable, so the advertising, just as Bernbach recommended, began to focus on this straightforward truth. One of the most famous commercials of all time was built around a simple line: “How does the guy who drives the snowplow get to the snowplow?” The answer being, of course, in his dependable VW Beetle. Fast forward a few years and VW still used the same agency, but had a new tagline, as the dependability of VWs came to the forefront: “If only everything in life was as reliable as a Volkswagen.” Their advertising for many years revolved around this thought, and to a large extent still does. Or did, until the recent crisis hit. Until a couple of weeks ago, if you asked someone what they thought summed up Volkswagen in a word and they would probably come up with something like ‘reliable’. If, as Bernbach put it, the truth is paramount in advertising, then the reverse also holds good; the fastest way to destroy a brand is to tell demonstrable untruths about it. For all I know, Volkswagens may still be dependable in general. But we all now realise that the people who make them have been deceptive when it comes to emissions. Which means that they may have been untruthful in other areas as well. So when the dust has settled, Volkswagen have paid the already eye-watering fines, settled the lawsuits, and when their cars are allowed to be sold (Switzerland have just announced that they are banning the sale of new Volkswagens) it won’t just be their share price and profitability that have suffered grievously. The most toxic fall out of all will likely be to their brand. It reminds me of when I was a young copywriter back in 1990 and my agency were asked to pitch for the then tiny Skoda account. The only sensible approach was to confront the Skoda jokes head on, which is what essentially the marketing did, and continued to do for some time. In fact it took Skoda a couple of decades to overcome the joke image and actually be recognised as a decent car, ironically with the help of Volkswagen, their majority shareholder. Back to today, and if Volkswagen are ever to recover from their current crisis, they won’t be able to fall back on the old ‘reliability’ shtick. They’ll have to discover a new angle. And they’re going to have to go back to original principles and do what Bill Bernbach advised. Be honest. From a PR point of view, they’ve already started down that path. Admitting, as the CEO did, that “We screwed up” and resigning is just the first easy step, given the evidence. The hard part, if the brand is to survive, will be their new marketing strategy. This entry was posted in Advertising copywriting and tagged brand strategy, VW advertising. Bookmark the permalink. 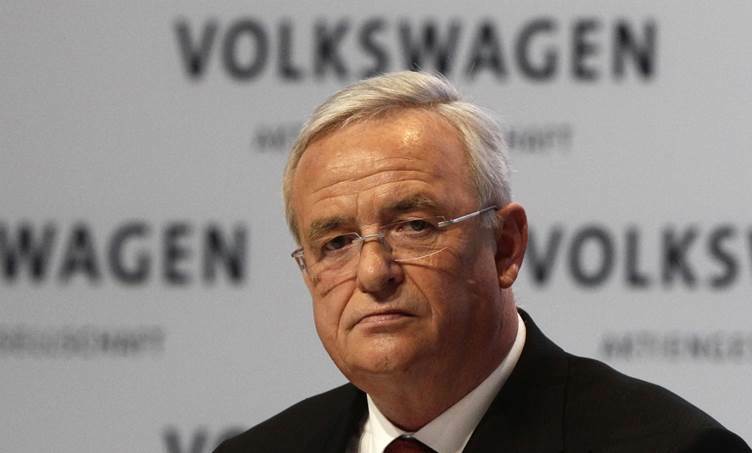 2 Responses to Volkswagen: the most toxic fallout of all? Very interesting comment. In our post modern culture there appear to be no absolutes – ‘everything’s relative’. So nothing can be said to be true. Pilate’s question to Jesus, ‘What is truth?’ However, credibility does depend on truth. Perhaps we may once again be able to talk about one absolute – the truth. A good and interesting insight, thank you John.